In simple terms, loose motion means you are having watery stools that occur more frequently than usual. It is also known as diarrhea, which most people have experienced. It can be acute or chronic. This common problem occurs when the food and fluids you ingest start passing too quickly or in too large an amount through the colon. Along with frequent loose, watery stools, you may even have symptoms like abdominal cramps, abdominal pain, a fever, bloating and weakness. Due to having too frequent bowel movements, there may also be itching, burning, soreness or pain in the rectal area. There can be many reasons behind this sudden change in your bowel movements, including a viral infection, bacterial infection, parasitic attack, food poisoning, a side effect of antibiotics and lactose intolerance, to name a few. In most cases, loose motion last a couple of days. However, if it continues for a week or more, it is important to consult a doctor. It can be a sign of a serious digestive disorder. Plus, it can lead to dehydration and weakness, which is not good for your overall health. 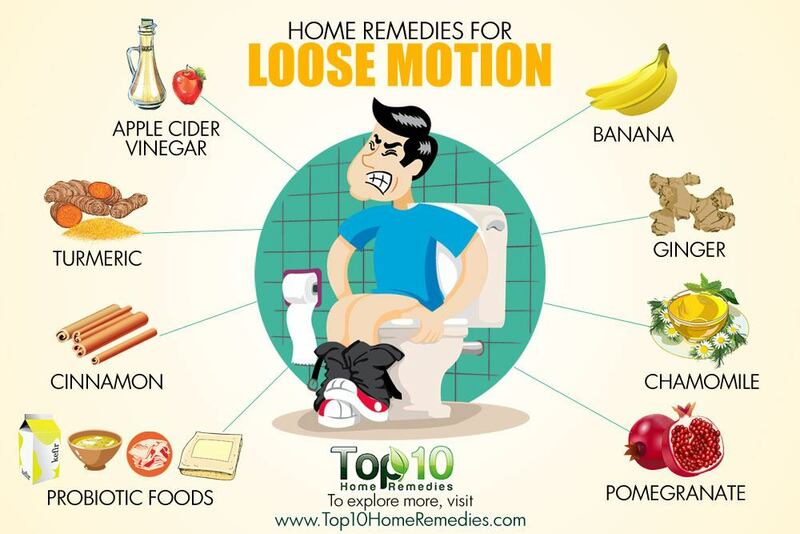 To reduce the frequency of loose motion and bring your bowel movements to regularity, there are many simple and easy home remedies. 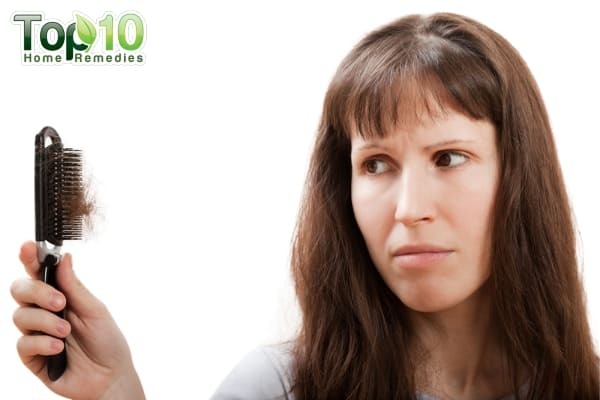 Here are the top 10 home remedies for loose motion. Yogurt is a good source of probiotics-strains of bacteria that are similar to the healthy bacteria normally found in your digestive system. These bacteria help restore the good bacteria in your gut. This in turn helps fight the diarrhea-causing germs in your digestive tract. A 2010 study published in Cochrane Database of Systematic Reviews states that, when used alongside rehydration therapy, probiotics have beneficial effects in shortening the duration and reducing stool frequency in acute infectious diarrhea. When it comes to probiotics for diarrhea, yogurt is the best option. It promotes a healthy environment of microorganisms in the digestive tract for better digestion. Eat 2 to 3 cups of yogurt a day when suffering from loose motion. Other good probiotic foods include kefir, miso, kimchi, tempeh, and buttermilk to name a few. 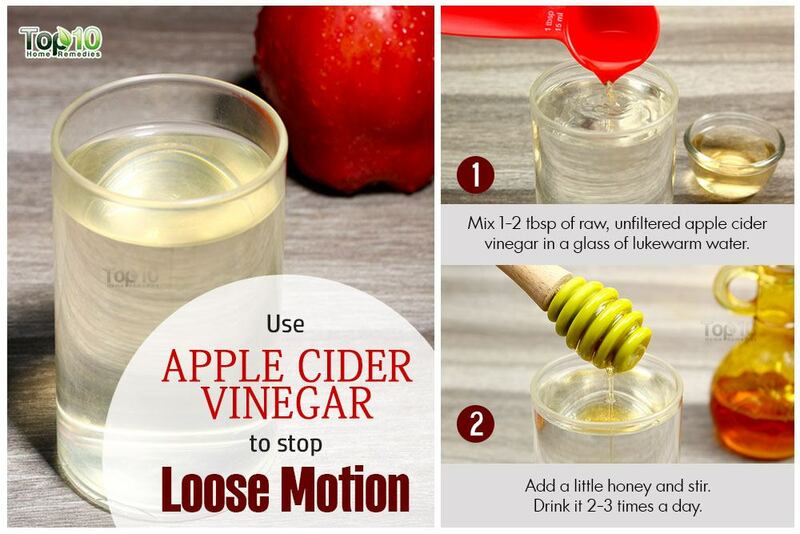 Apple cider vinegar is a great remedy to stop loose motion. This natural antibiotic helps cure diarrhea by killing the diarrhea-causing organisms in the intestine. Its high pectin content soothes the irritated lining of the colon. Plus, it helps maintain proper pH level in the stomach, which in turn helps restore regularity. Mix 1 to 2 tablespoons of raw, unfiltered apple cider vinegar in a glass of lukewarm water. Add a little honey and stir. Drink it 2 or 3 times a day until your condition improves. Both raw and ripe bananas can help treat diarrhea due to their pectin content. This water-soluble fiber helps absorb fluids in the intestines, which in turn helps add bulk to the stool. Being high in potassium, it even helps replace electrolytes that may be lost during diarrhea. A 2001 study published in Gastroenterology found that the pectin in green bananas is useful in the dietary management of persistent diarrhea. It can reduce the amount of stool, frequency of vomiting and duration of diarrhea, as well as reduce the need for oral rehydration solutions or intravenous fluids. Another 2012 study published in the Journal of Pharmacognosy and Phytochemistry also confirms that intake of bananas is beneficial for people suffering from diarrhea. When dealing with loose motions, eat a ripe banana every few hours. You can even have ripe banana and yogurt smoothies, 2 or 3 times a day. Another option is to steam or boil a raw banana, mash it and then add a little lemon juice and a pinch of salt before eating. According to traditional Chinese and Ayurvedic medicine, ginger is a good remedy for loose motion. It helps strengthen your stomach muscles and reduce food stagnation. This in turn stops loose motion. It even stimulates intestinal enzymes that promote proper digestion. A 2007 study by the American Chemical Society reports that ginger may combat deadly infant bacteria-induced diarrhea in developing countries. Add 1 tablespoon of minced ginger root to 1½ cups of water. Bring the water to a boil, cover and let it steep for 5 to 10 minutes. Strain and drink this tea 2 or 3 times a day. Alternatively, mix together 1 teaspoon each of dried ginger powder, cumin powder, cinnamon powder and honey and have it 2 or 3 times a day. Note: Those suffering from high blood pressure should avoid ginger in high amounts. Another effective remedy is from your spice rack – turmeric. Its antibiotic nature helps fight bacteria that cause this annoying problem. This spice can even help keep your system working properly. A 2004 study published in the Journal of Alternative and Complementary Medicine reports that turmeric extract may improve irritable bowel syndrome symptoms. Diarrhea is one of the symptoms of irritable bowel syndrome. 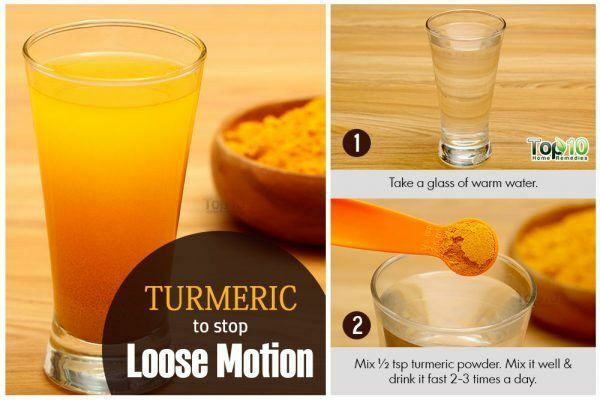 Mix ½ teaspoon of turmeric powder in a glass of warm water. Mix it well and drink it fast, as the powder tends to quickly settle on the bottom. Drink this 2 or 3 times a day. Alternatively, add 1 teaspoon of turmeric powder to 1 tablespoon of applesauce or yogurt. Take this 2 or 3 times a day. 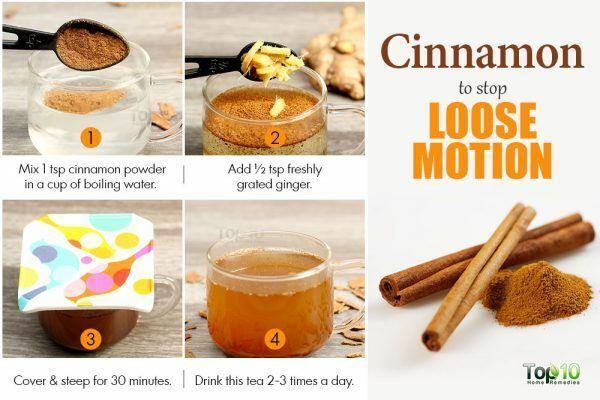 Cinnamon is also effective at treating various gastrointestinal problems, including loose motion. It has powerful antibacterial and antiviral properties that will destroy the harmful organisms in your stomach that cause diarrhea. It even stimulates the digestive enzymes that help move things smoothly along the digestive tract. Combine 1 teaspoon of cinnamon powder and ½ teaspoon of freshly grated ginger in a cup of boiling water. Cover and steep for 30 minutes. Drink this tea 2 or 3 times a day. 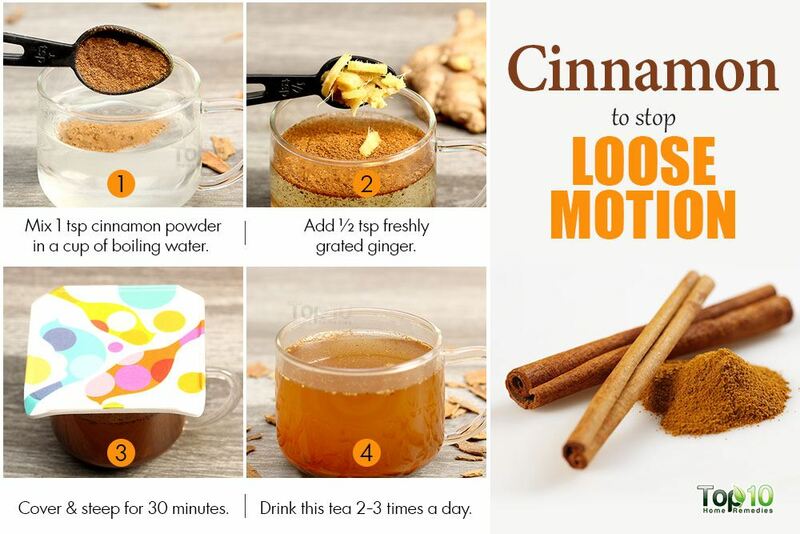 Alternatively, add ½ teaspoon of cinnamon powder and 1 tablespoon of honey to a glass of warm water. Mix it well. Drink it 3 times a day. You can also sprinkle some cinnamon powder on a banana or in applesauce or yogurt before eating for even more benefit. Chamomile has antidiarrheal effects, hence it is good for treating loose motion. It helps the digestive system function properly. It also has antispasmodic properties that help reduce abdominal spasms and pain. 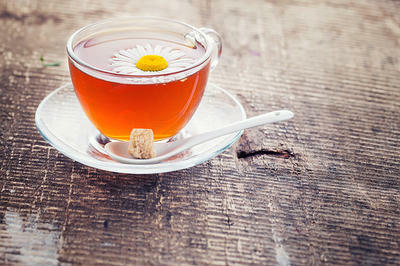 Add 1 teaspoon each of dried chamomile flower and peppermint leaves to a cup of hot water. Allow it to steeo for 5 to 10 minutes. Strain and drink the tea at least 2 or 3 times a day. You can also make chamomile tea using prepackaged tea bags. 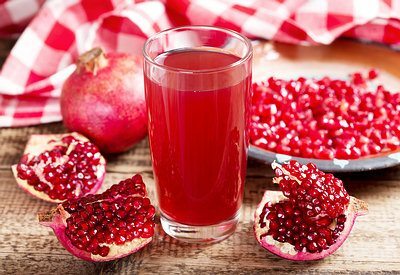 Pomegranate is another traditional remedy for diarrhea. It provides the body with antifungal, antiviral and antibacterial benefits. It prevents harmful bacteria from sticking to the lining of the stomach walls, thus preventing loose motion from becoming chronic. It can even help reduce nausea, vomiting and poor appetite. Drink 1 to 2 glasses of fresh pomegranate juice throughout the day. Put a handful of dried pomegranate peels in a cup of water. Bring it to a boil, then let it steep for 15 minutes. Strain and drink this liquid in small amounts throughout the day. Even though you may not want to eat when suffering from loose motion, it is important to refuel your body with the right foods. Include starchy foods in your diet for a few days to help you feel better fast. Your body absorbs the nutrients from starchy foods relatively quickly. 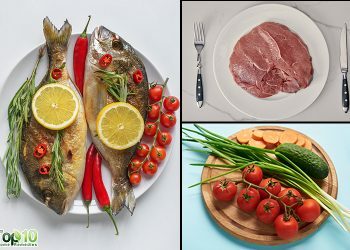 Plus, these foods add weight to your stool. 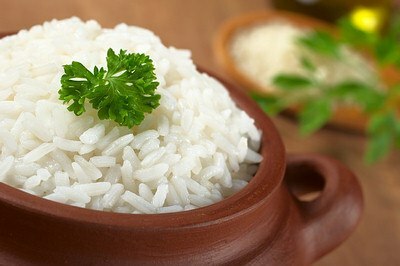 Some of the best starchy foods are precooked white rice, tapioca cereals, boiled potatoes, cooked carrots and applesauce. 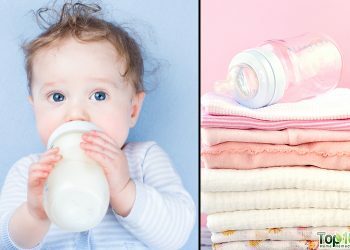 A 2003 study published in Paediatrics & Child Health found modified tapioca starch and plantain flour to be useful adjuncts to oral rehydration solutions in shortening the recovery period from diarrheal disease in children. When suffering from loose motions, there is a high chance of becoming severely dehydrated. Hence, it is important to take necessary steps to stay hydrated, as even minor dehydration can worsen your condition. Sip boiled or filtered water throughout the day. If going out, do not forget to carry your own water bottle. Coconut water also helps keep you hydrated when experiencing loose motion. Drinking 2 to 3 cups of green tea is also beneficial. 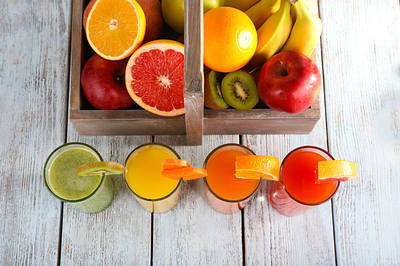 You can also drink pulp-free juices, clear chicken broths and caffeine-free soda. Electrolyte powder mixed in water is another good option. Avoid caffeine and alcohol as it can lead to dehydration and worsen your condition. For a few days, stick to semi-solid and low-fiber foods like soda crackers, toast, and rice. You can also eat custard powder mixed with water. 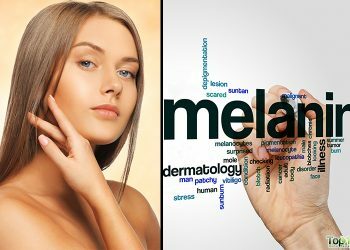 Do not eat dairy products, fatty foods, high-fiber foods or highly seasoned foods for a few days. Wash your hands frequently to avoid viral and bacterial infections. Do not eat out until your condition improves. Prepare foods at home and in a hygienic manner. Serve food immediately after preparing it and store any leftovers in the refrigerator. Good suggestions for loose motions. Best remedies, helpful specially for the poor. And l always trust. Very important and priceless information delivered by you .